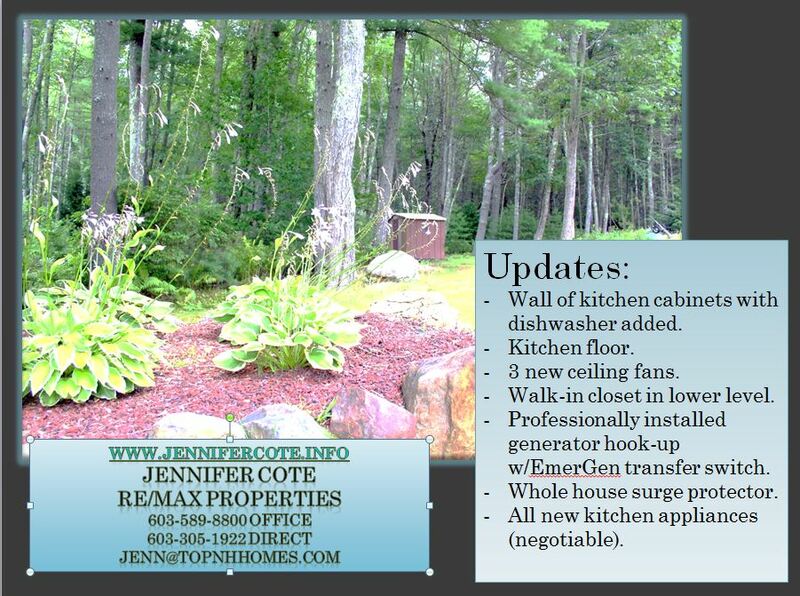 Epsom NH Home for Sale 3 bedroom split entry! 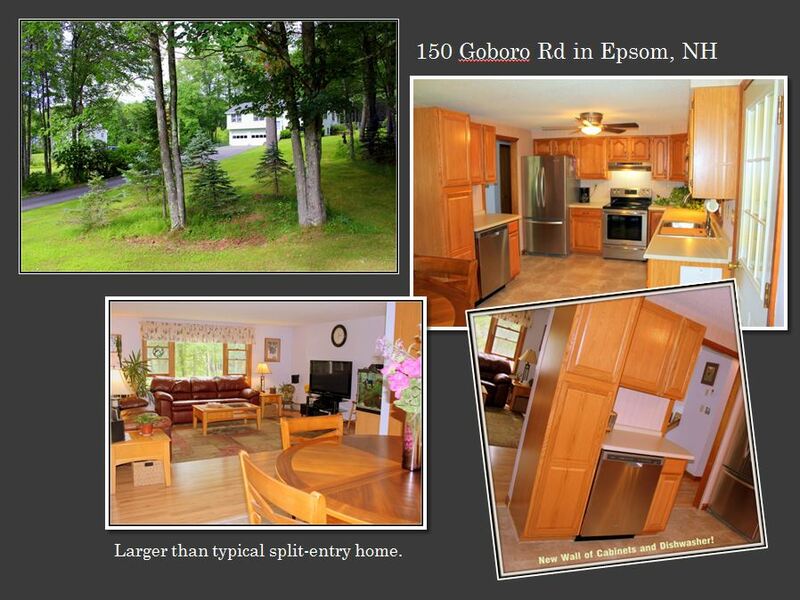 Welcome to 150 Goboro Rd in Epsom, NH! 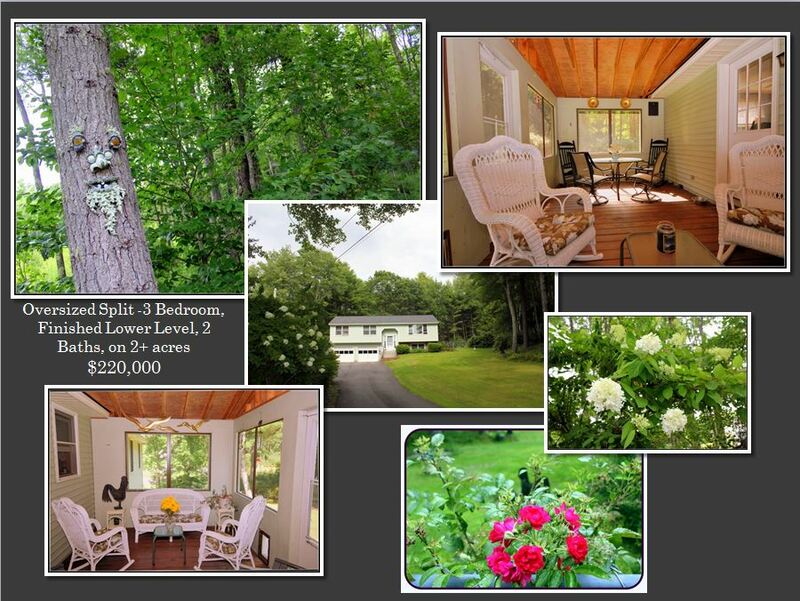 Close to everything…shopping, highways, lakes region…yet so private surrounded by trees. Huge fenced backyard for pets or children! New wall of cabinets with dishwasher, large light filled living room, and fantastic screened porch to enjoy that backyard! Great home for first time home-buyer! Nothing to do but move in and call it home. 1,330 square feet on main floor and 629 square feet finished in lower level! BIG. Private fenced backyard with character! Fantastic screen porch to enjoy the surroundings. MLS4381250 3 bedroom, 1 bath, finished basement with another bath, screened porch, wooded private lot with fenced backyard, 1,330 SF above grade with 629 SF below grade with full windows and 2-car garage! All for $220,000. This entry was posted in Babble and tagged 3 bedroom house for sale in epsom, home for sale near lakes region, NASHUA real estate, nashua real estate agent, raised ranch for sale in epsom, real estate agent in nashua, real estate in epsom nh for sale, split entry home for sale by Jennifer Cote. Bookmark the permalink.